Photo by Autumn Walter |CIGAR| The baseball team will keep working in practice to combat their losses over this past weekend. 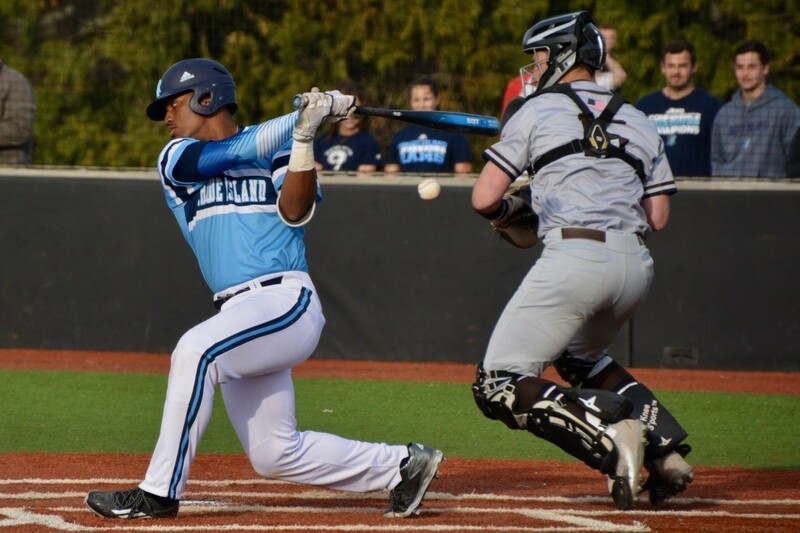 The URI baseball teamed opened up their season with a three-game series against No. 9 ranked Texas A&M this weekend, dropping all three games to the Aggies. The Rams went down 3-0 in the second inning of game one and weren’t able to come back despite impressive pitching throughout the rest of the game. Redshirt junior Tyler Wilson got the nod from head coach Ralph Cerrato, his first appearance on the mound since March 10, 2017. Wilson settled in after the three-run second, pitching into the fifth inning and only giving up one more earned run. Rhody almost pulled away with the victory in game two, losing on a walk-off single from Zach DeLoach. Redshirt senior Matt Murphy got the start in game two, throwing six innings of one-run ball. He allowed the run in the bottom of the first, and the next five frames were shutouts. Second baseman Laurence Hill went two for four with two doubles, two RBI, and a stolen base. The Aggies won game three by a score of 10-2, going up 4-0 by the third inning. Josh Brodeur scored the first hit for URI in the top of the fourth, but the Rams didn’t cross the plate until the top of the seventh on a Jordan Powell homerun. Mike Foley scored Greg Cavaliere on a base hit to make it a 5-2 game, but that was the closest URI got. Texas A&M hit back to back homeruns twice, once in the bottom of the seventh and once in the eighth inning to seal the deal. Despite the losses, Cerrato saw promising things from his squad in their opening weekend. Heading to Seattle, Washington this Friday for their second series of the season, Cerrato mentioned offensive improvements that needed to be made. “Our two-strike approach offensively, the ability to use the bunt game a little better, those are two areas we need to improve upon as we pull forward,” Cerrato said. The Rams look to bounce back this weekend against Seattle University. The series opens Friday night at 8 p.m.